Notification of Incorrect, misleading and potentially dangerous document used for the recovery. Incorrect, misleading and potentially dangerous. This is our letter to Pete Sparrow, CCC General Manager Building Control and Rebuild and Mike Stannard, Chief Engineer, MBIE. We request that this document is revoked and the PMO’s and the public notified. I am writing to you to point out that a document which is being used as a reference for the current land status in Christchurch is incorrect, misleading and potentially dangerous. Using this document as a main reference for current land conditions can lead to the negligent practices that have been witnessed in Christchurch. On the EQC website where this document resides the following incorrect statement is made “Please note: The information in this report is up to date as of 29 February 2012: it does not take into account any aftershocks or earthquakes that occurred after that date.” This document is not up to date as it does not include up to date information as of 29 February 2012. All the maps published in this document are outdated and do not reflect current land conditions. The maps are dated June 2011, after which we had over 100 earthquakes of magnitude 4 and greater. Significant levels of subsidence in the eastern suburbs of Christchurch and further land damage have been ignored. All the statistics given for elevation and groundwater levels are misleading as they exclude most of the worst land damage. As an example I refer to the statistics published for the suburb of South Brighton. Average subsidence is stated to be 50 mm. In fact, the worst affected properties have subsided by up to 1000 mm, which is 20 times the amount stated. Groundwater is stated to be at 130 cm on average from the surface, whereas measurements show that groundwater is as little as 10 cm from the surface in places, and is both saline and tidal. Many properties have subsided below the height of the Mean High Water Spring (MWHS) and, pursuant to the provisions of the Marine and Coastal Area Act 2011, the land has therefore been divested. Using this document as a reference in preparation for any repair or rebuild leads to unsustainable and even dangerous practices. This document has an extensive disclaimer and no liability is assumed. This has been pointed out to both Tonkin and Taylor and the EQC. Even though Tonkin and Taylor has confirmed in writing that 140 properties in South Brighton have subsided in excess of 250 mm before this document was published and have been excluded from the statistics in this document, the document is still used as a reference for recovery. What I have seen in practice is that high groundwater, liquefaction vulnerability and severe lateral spreading have been ignored in geotechnical reports on land that has suffered in excess of a metre (correction) of lateral spreading and significant subsidence, land that has been identified as being highly vulnerable to liquefaction . This has led to unsuitable repair methods being proposed. There is ample evidence of such methods having been implemented. Based on this document, it has been assumed that the land can be defined as “good ground”. I request that this document be immediately revoked and that all Project Management Offices and the public are notified as a matter of urgency that it no longer applies. 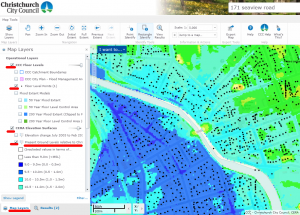 The consequences of using incorrect data has become obvious with current flooding in Christchurch. While the Stage 3 report is not specifically mentioned in the MBIE guides, there are references to also outdated stage 1 and stage 2 land reports. 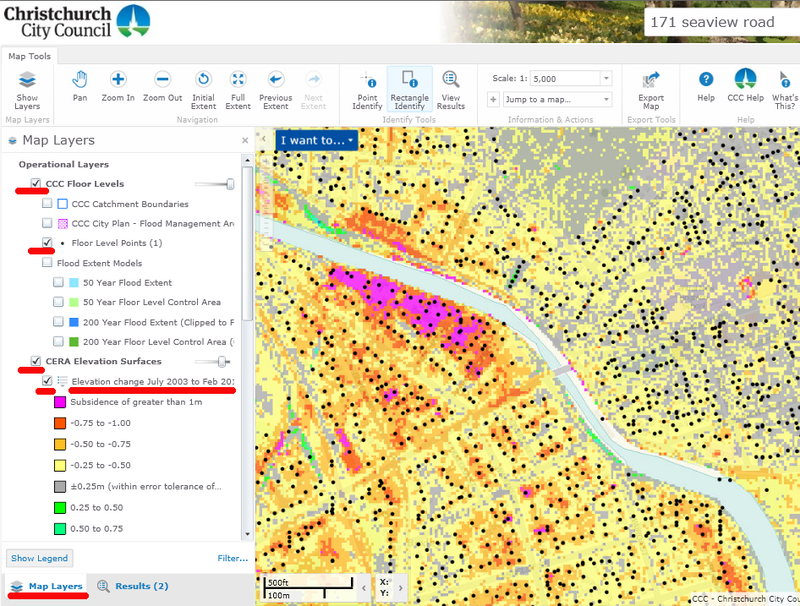 None of these references are reliable as a reference material for current land conditions and should be specifically be identified as unsuitable reference documents for current land conditions. I await your confirmation, or any evidence to the contrary, showing that these reference documents used for the recovery reflect the current land conditions. Here find historical benchmarks for South Shore and South Brighton. These marks are no longer Council benchmarks as they are no longer current. For up to date benchmarks or historical marks email Council and request benchmarks closest to your property. This document outlines the Risk Based Building Consents. Shows how Building Consent Authority avoids liability by limiting inspections. Shows the obligations of the owner. Explains the different Building Consents. An interesting statement from the Government is also included. It is surprising as the Government decided to exclude specifically all the mandatory written contracts when implementing the legislation change of the Building Act. Therefore all our guarantees. Thank you for the Hazard Forum on the weekend. A very much needed discussion and vital for the future of our city. The communities certainly appreciate the increased transparency. My concerns as mentioned are the following. Residents have no access to information about the actual damage of their own land that was fully insured. The critical informations that are missing are the following. Subsidence, Elevation before and after the earthquakes. In centimeters. Changes in Groundwater. Due to changes in groundwater some land has lost the bearing capacity. Original foundations are designed for a particular land strength and wet sand versus dry sand can loose up to 50% of bearing capacity. This generates subsidence risk and increased Liquefaction vulnerability that has to be recognized and communicated. Liquefaction vulnerability. This is what caused most of the damage in canterbury. Information about vulnerability before and after the earthquake should be made available to the public. Flood risk before and after the earthquakes. I have extensively tried to get information about who determines the Land Categories. EQC points at Council and CERA. CERA point at Council, Council points at MBIE. MBIE does not answer. I am referring to category 8 and 9. Liquefaction and Flooding. I have also asked what impact do hazards identified of the LIM of a property have on land claim settlement, to no avail. I do not find it excusable that the stakeholder that has the most at stake is denied access to these information. The residents are slammed with up to 30% reduction in land value without any explanation. For example TC3 in my street has dropped about 30% and that excludes devaluation from the 2007 value. While TC1 in the same street maintains its 2007 value. It is stated by Quotable Value that this devaluation is not earthquake related. That simply does not add up as the most affected land value is in the worst affected land damage area. Worst affected sections are now rated at less than 100k. No section is available at that price. The worst affected get the worst treatment and their equity drastically removed while all had full insurance. I have had correspondence with CERA on some of the land information issues and have had professional input from Adrian Cowie Professional Surveyor on this. I attach the correspondence FYI. I think this is a perfect opportunity to work together and display the “duty of care” that the public is entitled to. The soils in the Christchurch CBD, being highly variable both horizontally and vertically across short distances, pose challenges for the design of structures and their foundations to withstand the potential impact of future large earthquakes. The Royal Commission considers that there must be greater focus on geotechnical investigations to reduce the risk of unsatisfactory foundation performance. 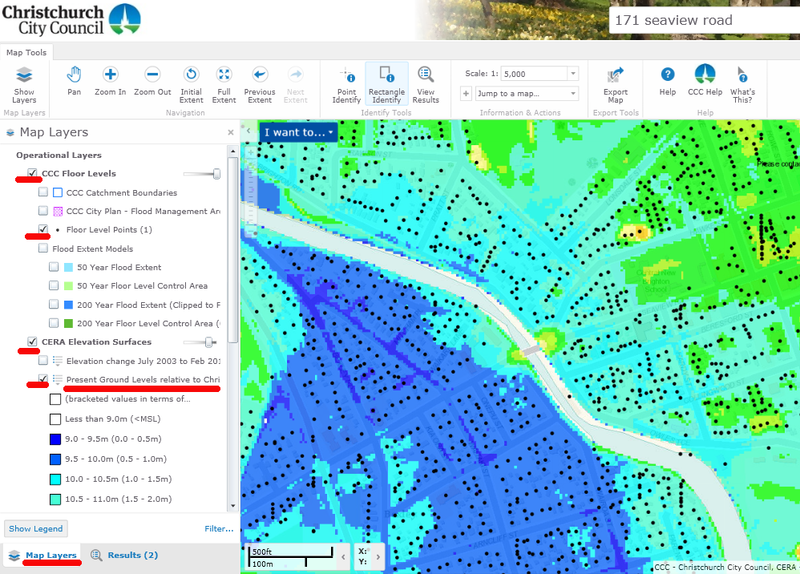 Tonkin and Taylor, for the Christchurch City Council (CCC), evaluated the nature and variability of subsurface conditions in the Christchurch CBD and adjacent commercial areas to the south and north-east. This will be held in a database available to the public. 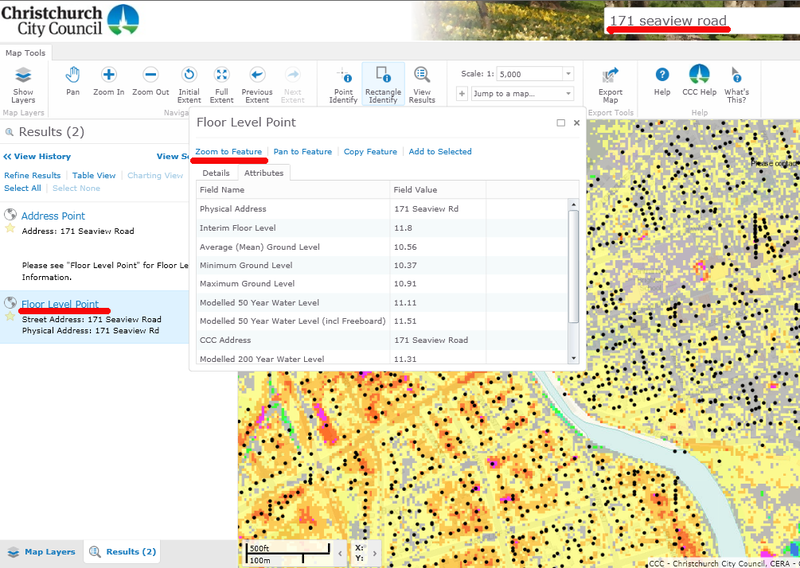 This information will be of assistance in assessing the potential need for land improvement, in the selection of appropriate foundation types, and in the planning of detailed investigation of foundation soils. We make detailed recommendations in respect of site investigations, ground improvement and foundations design. Some recommendations are of particular relevance in the Christchurch CBD but many are of wider application. I trust this email explains some of the vital issues that are key components for the recovery progress. Residents do not like to be kept in the dark for years, that contributes to social unrest. 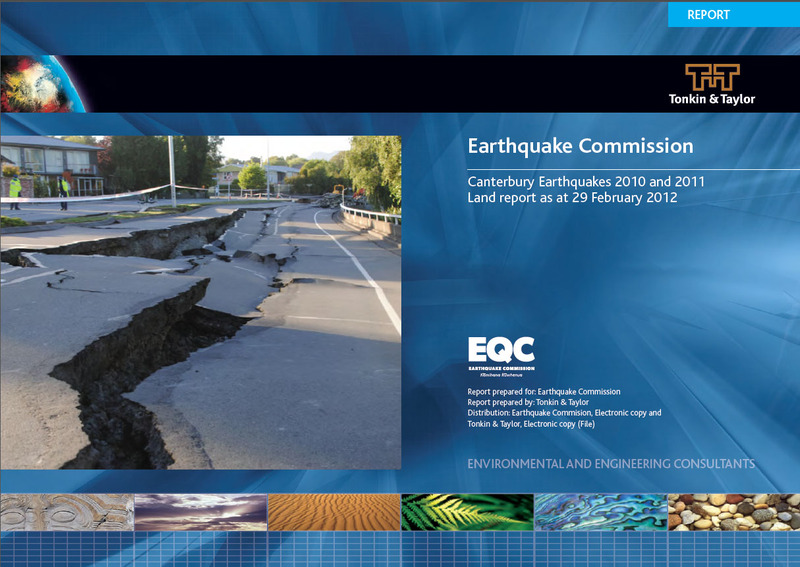 Answers by EQC Feb 2013, what is the progress now and why are the delays. These questions were asked in December 2012, following answers received from Richard Braddell 1 Feb 2013. It does not sound like they are making much progress. As of February 2014 2630 claims are still held in apportionment. All claims for building damage have to be apportioned. There are currently about 2000 TC3 properties where apportionment is required before the claim can be determined as over- or under-cap. In all there have been approximately 28,000 properties with claims in TC3 and 14,000 have been handed to private insurers. 2. Is the value of these claims on average 150.000, total of over 4bn? No. The 2000 claims awaiting apportionment all have a damage value of over $80,000, but it is not immediately apparent that damage from any one event is over $100,000 +GST. That is why they need apportionment before a private insurer will accept them, if over cap. 3. Is it true that EQC claimed this damage from re-insurers last year based on best estimate? No. We claim on the basis of proved the loss from an event. EQC pays the first $1.5 billion of an event and we draw down from the reinsurers as we prove the loss and settle for the balance of claims from that event. 4. Is EQC investing these moneys in Government Stock earning interest? No, EQC is using reinsurance payouts to settle claims and repair houses. You may be confusing these pay-outs with the funds in the Natural Disaster Fund (which is also being drawn down for repairs and claims settlement) some of which were invested in Government bonds. 5. Did the Government free EQC from interest payments on the overdue payments? EQC has never had a liability for interest on pay-outs from natural disaster damage. 6. 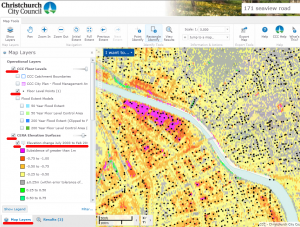 Are these 2770 TC3 claims in apportionment considered the worst affected in Christchurch? By definition, the worst affected buildings in Christchurch have been settled by EQC as over-cap, and passed to private insurers for resolution. Properties awaiting apportionment before the claim can be determined as over- or under-cap, are those with damage over $80,000 but where it is not immediately apparent that damage from any one event is over $100,000 +GST. 7. Is it true that the cost of drilling will take most of these claims over-cap? No. The actual cost of drilling varies as a proportion of the individual properties’ claims values. Drilling was dependent on whether there was damage to foundations and the majority of properties in TC3 did not require drilling. The geotechnical investigations in Technical Category 3 (TC3) were undertaken in order to understand local soil conditions before the foundations of approximately 10,500 homes can be repaired or replaced. 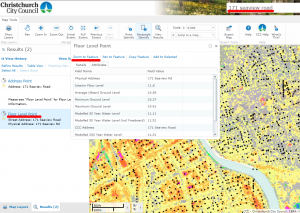 Until drilling data is analysed, it’s not possible to say what these foundation repair costs will be. While it’s likely that TC3 foundations will cost more than conventional foundations, the cost must take damage from one event over the $100,000 +GST cap for the claim to be accepted by a private insurer. 8. Is it true that the 10% increase in building cost will take most of these claims over-cap? One of the reasons EQC established the Canterbury Home Repair Programme with Fletcher EQR was to reduce the impact of cost increases in the repair trades by setting ‘rate ceilings’ which reflect normal market costs for building and finishing trades. This has been successful in keeping costs increases to a minimum – in many trades, costs have decreased since 2010. The reported 10% increase in costs affects predominantly new builds, which EQC is not involved in. 9. What information is missing to finish these apportionments / settlements? This varies form case to case, but due to the frequency of earthquakes in 2010 and 2011, the key missing information is usually evidence of damage between earthquakes which helps fix the costs to one event or another. 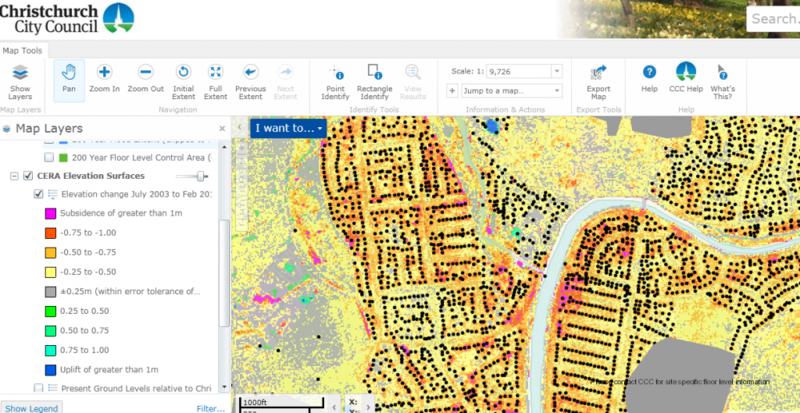 EQC is using a range of tools to manually replicate this information. 10. Is it fair to say that both EQC and the Government are financially benefitting from the suffering of the worst affected Christchurch residents? No. 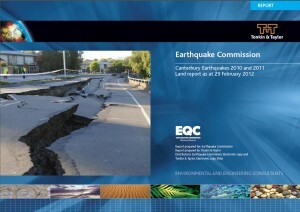 EQC has an estimated liability of $12.5 billion of which $1 billion is likely to be met by the taxpayer. Figures for the total cost to the government can be obtained from Treasury, it is substantially more than for EQC alone.